Les Roches Open Days | Visit the Campus ! Les Roches holds open days during which candidates and their family are invited to visit the campus, attend a presentation and meet other students, faculty and the management of the school. Info Sessions – Learn about the Les Roches way of life, including career opportunities, academic programs and student activities. Lunch – Enjoy a special lunch prepared by our students. Interactive Workshops – Discover our beautiful campus and meet our students and faculty as you rotate through interactive workshops. Closing Coffee – Ask questions and mingle with campus management, faculty, students and education counselors. Due to limited space, the sign-up deadline date is 2 weeks prior to the Open Day. The shuttle will leave our campus in Bluche by the end of the day. (please sign up for this service when registering online). Lunch – Enjoy a welcome buffet prepared by our students at oneof our restaurants. Campus Tour – Explore our modern campus and facilities on a guided tour. 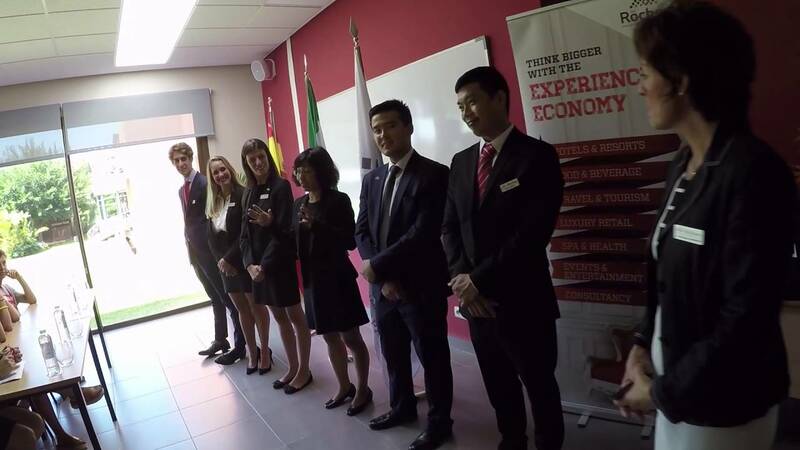 Les Roches Marbella in Action – Discover our programs, courses, internships and student life. Our students will discuss academic coursework, practical experience and internships, as well as their future career plans. Learn more about student life with our student ambassadors. Closing Q&A – Enrollment staff, education counselors, students and faculty will be pleased to answer all of your questions. Due to limited space, the sign-up deadline date is 7 days prior to the Open Day. Register by email, by telephone or with your education counselor. A maximum of 3 guests are allowed (1 candidate + 2 companions). Explore the fast-growing world of hospitality by spending a day at one of the top hospitality management schools in the world. During Open Days, you can visit our campuses and find out more about global careers in hospitality management and the experience economy. We invite you to discover Les Roches’ innovative approach to hospitality education and experience student life in Bluche or Marbella.